Interested in using a VPN on a Chromebook? Here is a scorecard of VPN providers that do and do not support Chrome OS. In response to privacy invasions by internet service providers, a Chromebook and two VPNs should offer great security, privacy and anonymity. SEC Consult reported a flaw four months ago. Still no fix. Email attachments are the modern Trojan Horse and need to be treated as such. A big part of Defensive Computing is knowing who to trust. Oftentimes, when reporting on technical computer issues, the media does not deserve that trust. Sunday nights screw-up naming the Best Picture at the Oscars offers a lesson in defensive thinking, if not exactly in Defensive Computing. Chrome can take a while to update its embedded copy of the Adobe Flash Player. On days like today, when Adobe released a new copy of Flash, this can leave you vulnerable. A simple procedure forces the update. Two more cases of Chrome extensions that have way too much latitude. In the recent Netgear router flaw, its easy to blame Netgear for ignoring the initial report of the vulnerability. They have since admitted that it fell through the cracks. But there appears to be plenty of blame to go around. The latest attacks on routers show Internet Service Providers failed in multiple ways. I set up and poke around with my first mesh router system. Bloomberg reports that Apple will no longer makes routers. Apple has not yet commented. But, Bloomberg has dropped the ball. 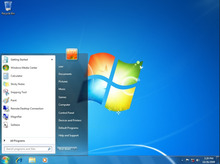 Relief is finally at hand for Windows 7 users. Following the advice of InfoWorlds's Woody Leonhard, we can patch Windows Update and install bug fixes in a manner of minutes rather than hours. 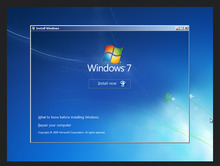 Windows 7 still takes forever and a day to install patches. Woody Leonhard has a solution. But its complicated. Why is that? An explanation of OpenDNS error handling. They bend the rules a bit, but last week, when Dyn was being attacked, it worked out for the best.